It was an unusually dangerous weekend on the New York City subway. And one particular set of train passengers got the horrifying shock of a lifetime. 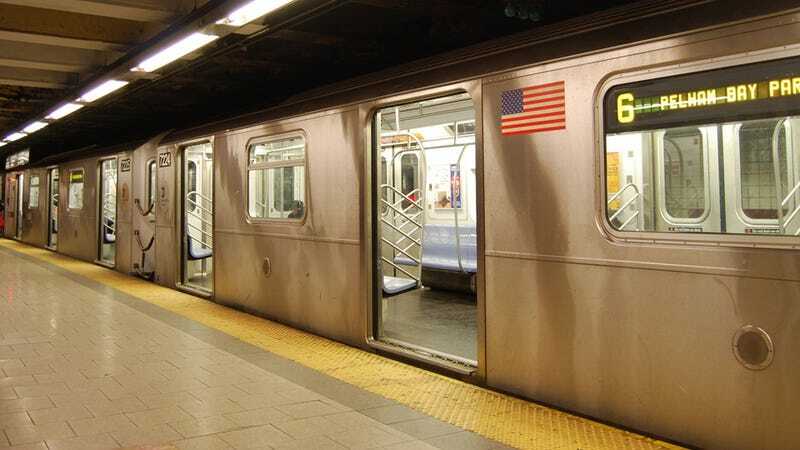 It happened at about 10 p.m. on Saturday, when people got off the L train at the Sixth Avenue stop and saw a man's severed head wedged between the train car and the platform. Oh god oh god oh god. Police still aren't sure how the unfortunate victim ended up pinned. As if that's not bad enough, three other people were also killed on Saturday, all in separate incidents involving the train. Two men were struck while walking on the track and another man fell down a set of stairs at a subway station in Queens and died. But one of the incidents was particularly horrifying. Boy, it's enough to make you never want to face mass transit again.